Jason Momoa is a babe. Fact. 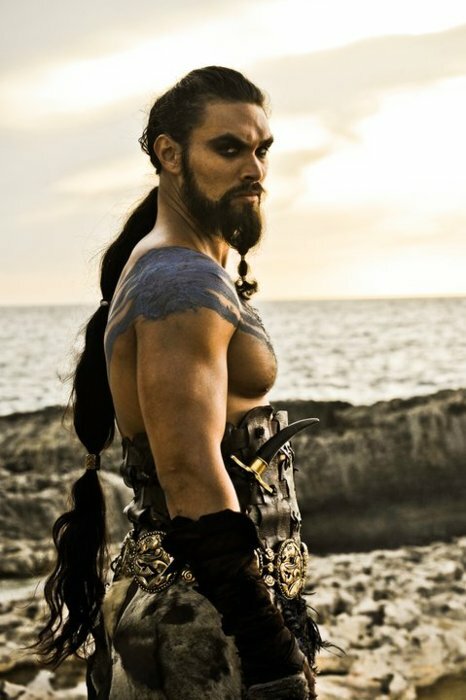 You might recognize him better with his shirt off, because that is usually how you see him (in roles such as Khal Drogo from HBO’s Game of Thrones or the new Conan movie). He is a 6’3″ Hawaiian-Irish-Native American who is a testament to the benefits of mixing up the gene pool. Check his IMDB page for more pictures or just wait until he shows up on your TV or movie screen, which will definitely happen since he’s a bona fide rising star goddammit. This guy works at Tommy Guns, right? Or is it Walter Foods?